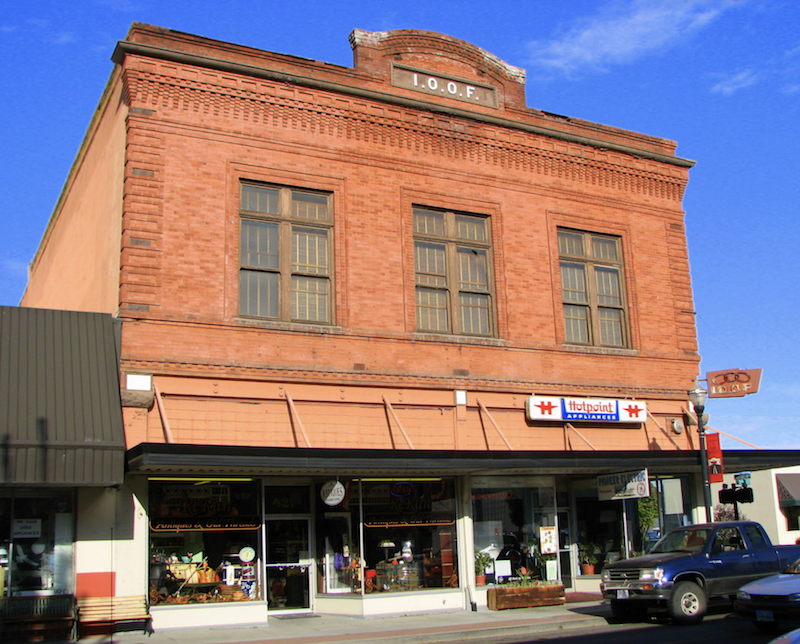 ​​In late 2014 D&R Masonry Restoration completed the facade restoration of the Independent Order of Odd Fellows Hall in The Dalles, Oregon. 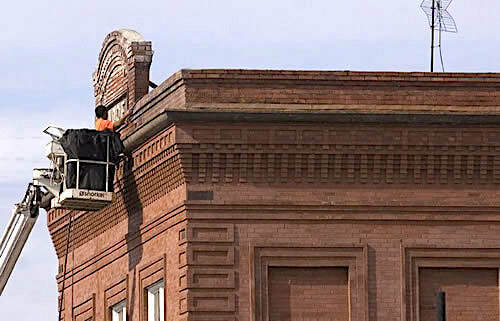 This involved removing numerous layers of paint, scraping and repainting the cornice, tuck-pointing and resealing the facade's brick work and resetting the top courses of brick. In addition to the facade masonry, D&R Masonry Restoration also performed repairs and restoration on several of the building's windows, including the transom window on the east elevation. One of the most exciting aspects of this project was the restoration of the marble base on the south elevation. Surprisingly, the marble had actually been painted over and both the Order and The Dalles Main Street were excited to see the marble brought back to its original beauty. 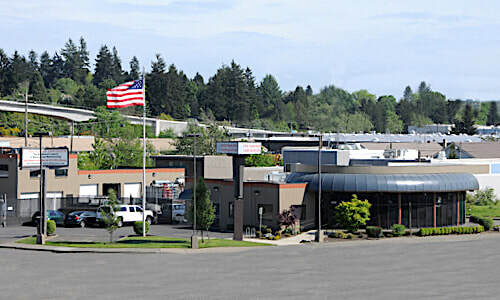 The Dalles Main Street helped the I.O.O.F. 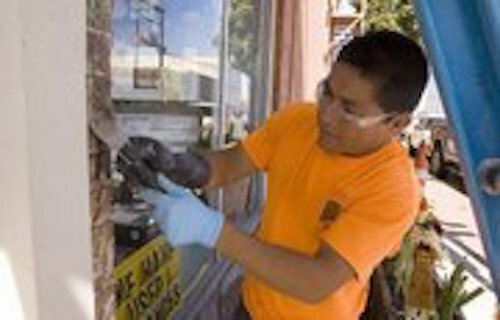 secure funding for the project from the State Historical Preservation Office and The City of The Dalles Urban Renewal Agency. The I.O.O.F. also contributed to the restoration from its own funds. ​The finished facade restoration brought a refreshed and impressive look to the I.O.O.F. Hall and prompted a new program for private property through the Urban Renewal Agency. Previous, funds were only available to non-profits, but with the impressive success of the I.O.O.F. Hall, URA was inspired to launch a matching program for private properties.